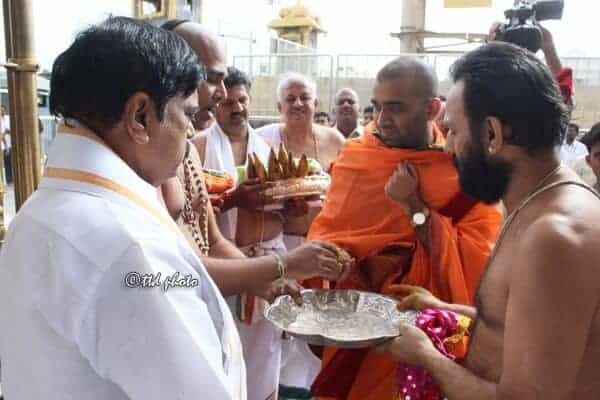 H.H Shrimath Samyamindra Thirtha Swamiji (Mathadhipati of Shree Kashi Math Samsthan) visited Shri Vari Temple, Tirumala Kshetra and had darshanam of Lord Venkateshwara Swamy on Friday (February 26, 2016) morning. 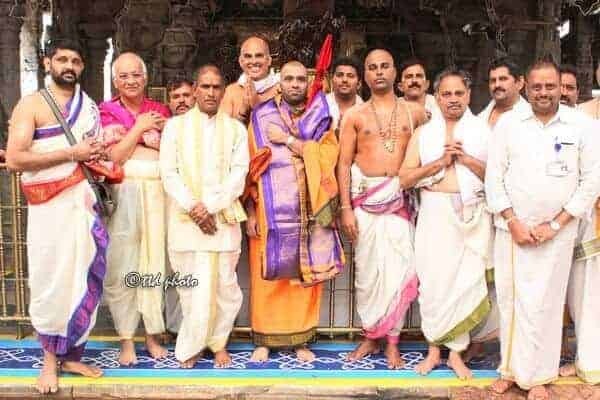 The temple authorities welcomed Shri Swamiji from Shri Bedi Anjanya Temple to the main temple with all the honours due. 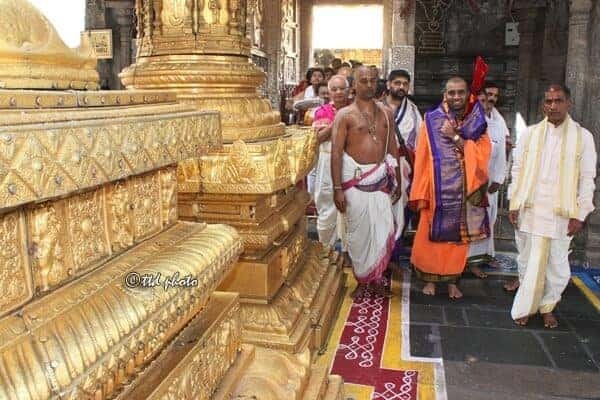 TTD Executive Officer Dr D Sambasiva Rao and Temple DyEO Sri Chinnamgari Ramana and Temple priests received His Holiness with temple honors at the Mahadwaram and was taken inside the temple through the Bangaru Vakili (Golden door) upto Garbhagriha, where Shri Swamiji offered prayers to the lord during Arathi. H.H. Shri Swamiji had the darshanam of Shrivari, offered flowers, fruits and Kanikas to the Lord on behalf of Shree Samsthan. The temple priests then offered Shesha Vastra and Prasada to H.H. Shri Swamiji as per the temple protocol. H.H Shri Swamiji was later given a benefitting send off with Mangala Vadya, after honours and bahumanams. Temple Peishkar Sri R Selvam, OSD Sri Seshadhri, Bokkasam Clerk Sri Gururaja Rao and others were also present.